Are you a merchant with a program on Rakuten Affiliate Network? Do you have questions about the interface and not sure how or where to ask your questions? Over the next few months I will be publishing posts centered on the Rakuten Affiliate Network interface and giving merchants a better understanding of how to effectively complete their daily tasks within it. The first in the series is how to create text links. This may sound like a simple task, but believe me merchants do not properly set up text links and it hurts the effectiveness of the affiliate program. Once logged into the merchant interface you will click the “Links” tab, where it will bring you to a page where all the different link options will be presented. In this case you will click the “Text Links” button. All you do in this next step is click “Add New Text Links”. 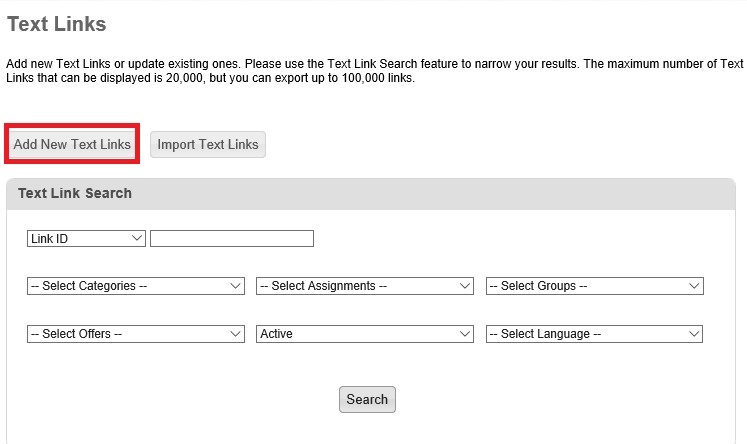 If you do have current text links live you can edit them here by using the search function shown in the screenshot. Here is the part where you create the text links. Put in the link text (i.e. Save 10% on all orders), landing page URL, name (can be the same as the link text), category, start date, end date, and assignment to publishers (the link can be assigned to all or a select group of affiliates). Note: If your deals/coupons have coupon codes associated with them then the code should be included in the “Link Text” portion of the set up. The text link should look something like this: Save 10% on all orders – Use code SAVE10. Since there is no specific place to put the code like there is in CJ Affiliate and ShareASale you want to put it in the text of the link. 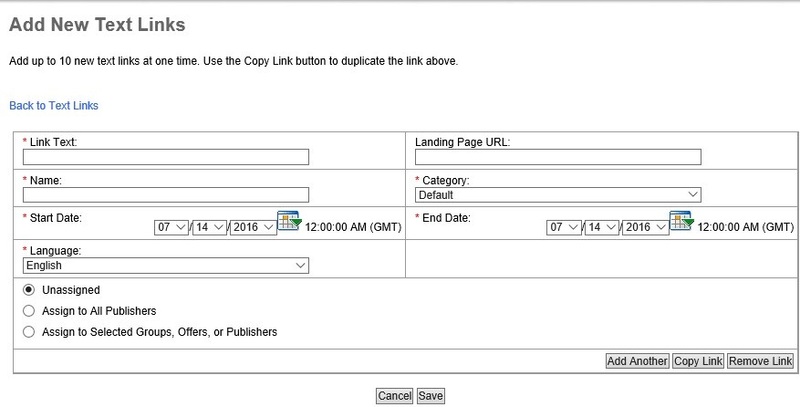 There it is a simple tutorial on how to create text links in Rakuten Affiliate Network. Please remember to be as detailed as possible when creating the links. There should be no confusion on the offer or message with affiliates.